What are they? Well, we liken them to beach balls on a stick. They're composed of vinyl and are inflated with air. That's right, no helium required. We've seen them pop up at apartment complexes, car lots and storefronts. We get asked about these "balloons" from time to time, so let us review the pros and cons of purchasing and using these so-called balloons. At first glance, they sound like an efficient choice. They don't require helium so you can immediately suspend that expense. And they're reusable so you don't have to replace the balloons on a regular basis. Another perk would be that employees, office managers and store owners do not have to spend time inflating balloons on a daily or weekly basis. You can expect to spend around $30 per balloon if you're shopping from the cheaper end of the spectrum. However, this will include the pole, clamps, and other assembly items needed for that balloon. Various options are available regarding the display look you're going for. 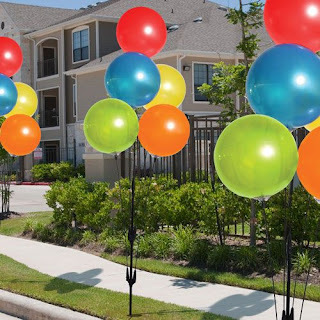 For example, you can purchase several balloons clustered together for a "bouquet" effect on one pole, which is cheaper than purchasing the same number of individual balloons and their mounting counterparts. Other options, such as shape, will also influence the price paid. Oval-shaped balloons are generally less expensive than round-shaped ones. There are a few brands that manufacture these balloons and related accessories. It's important that if one decides to go the route of vinyl balloons to stick with the same company. We've come across customers who purchased balloons from one company and tried replacing a broken pole with one from another company only to find they're incompatible. Many of the accessories are like this and designed to keep the customer loyal to the respective brand. Another complaint we've heard from customers is that the weight of the balloons and poles is much heavier than a regular balloon tied to ribbon. The result? Vinyl balloons that don't move. The purpose of using balloons for storefront marketing is to attract attention. Balloons are quite good at achieving this because the slightest breeze will cause it to move around quickly, catching the attention of people passing by. However, a growing consensus has been that these vinyl balloons require very windy conditions to achieve the same movement as regular balloons. In short, they become similar to signage and not as noticeable over time. In our area of South Texas, heat is another concern. Just as extreme heat will cause regular balloons to pop, the Sun will drastically fade the colors of the vinyl balloons. On most websites, it's recommended to replace vinyl balloons every 6-8 months. This will likely be reduced to half in 100 degree weather. Now, they're marketed as a less expensive option, but let's do the math. Let's say you inflate 100 17" latex balloons every two weeks for six months. 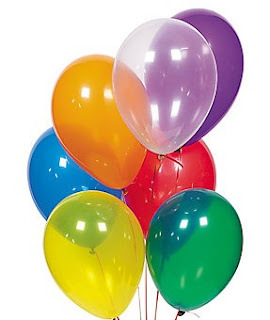 Based on our price of balloons, your cost is $26.74 for 100 17" balloons. It will cost an additional $93.75 for enough helium to inflate these 100 balloons, which brings your total to $120.49. If you continue to spend this amount every two weeks for six months, you will have spent $1445.88. Adding on delivery of $12.75 every two weeks and a $10 monthly cylinder rental fee, your total climbs to $1658.88. Now let's say you had purchased 100 vinyl balloons and spent $3000 (100 balloons at $30/balloon) plus applicable shipping fees. In the same six months, you would need to replace (at least some) of your vinyl balloons without seeing any financial gain. As always, we recommend doing your own research and plugging in the numbers to see if it benefits you. 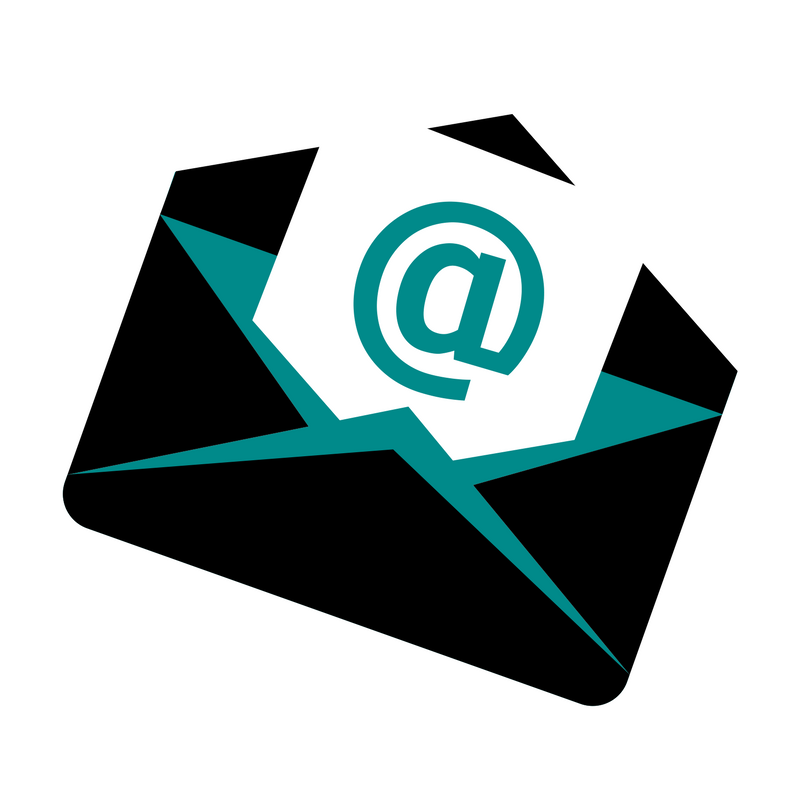 Your numbers will vary upon your specific volume and marketing goals.